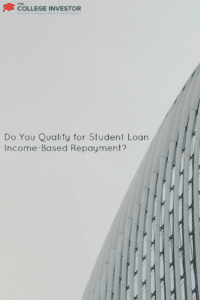 Home » Do You Qualify for Student Loan Income-Based Repayment? I recently wrote about managing your student loan repayment. Unfortunately, this process can be more complicated than it should be, and it becomes even more complicated when you are faced with multiple repayment strategies. In recent years, the U.S. government has unveiled new student loan repayment options aimed at easing the financial strain of individuals and families struggling to repay their loans. 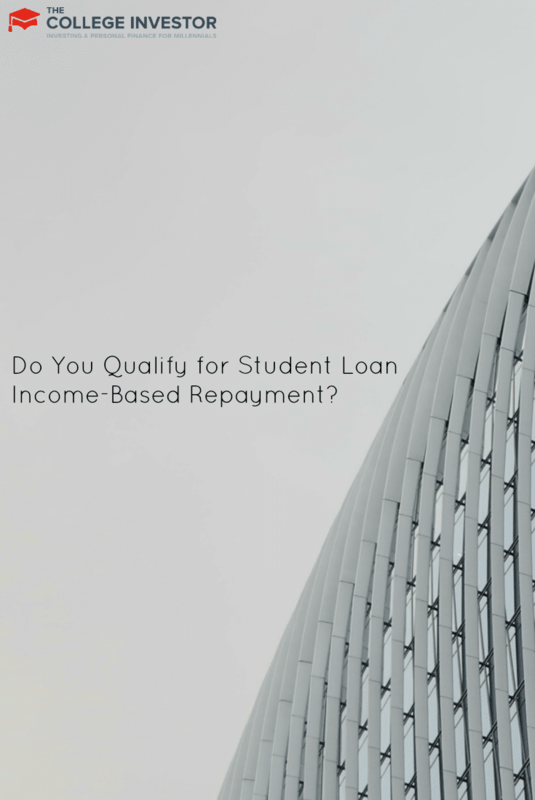 The repayment plan created specifically for those who have a high loan debt relative to their income is called the Income-Based Repayment Plan (IBR). Which Loans Are Eligible Under Income-Based Repayment? Depending on when you had your loan disbursed, your loan may be under the old Federal Family Education Loan (FFEL) program, or it may be under the William D. Ford Federal Direct Loan Program. If your loan was disbursed after July 2011, it will be a Direct Loan. If it was disbursed prior to July 1, 2011, it could be either program. IBR is designed for borrowers who have a need to reduce their monthly payments, but do not wish to qualify for a full financial hardship or deferment. You will qualify for the IBR if the combined monthly amount you are required to pay on your eligible student loans under the 10-year standard repayment plan is higher than the monthly amount you would be required to pay under IBR. Essentially, this would be most students. Your monthly payments under IBR are based on your income and your family size, and are adjusted each year based on the same criteria. Your monthly payments are generally the lowest amount of any repayment plan, and they are spread out over 25 years. You also have to submit annual documentation to your loan servicer to set your new payment amount for the next year. The IBR repayment program allows you to pay the lowest monthly amount possible and still remain in good standing on your loan. You also do not lose the ability to consolidate your loans into the future. You make your monthly payments based on what you earned, so if your income or family status changes from one year to the next, your loan payments can be adjusted to reflect this change. You also still have access to the 10-year public service loan forgiveness program, as well as having all loans forgiven after 25 years of repayment under IBR. The most obvious disadvantage to this plan is that you will pay more interest over the life of your loan. Spreading out your repayment schedule to 25 years will lower your monthly payments, but you may pay substantially more interest over the course of your loan repayment. You will have to re-certify your eligibility and income status each year. Similar to submitting a FAFSA, this information will be used to calculate the amount of monthly payments you will make over the next 12 months. You can also call your student loan servicer and start the process with them. You never need to sign up with a third party company if you want to change your payments, but you can. Just realize that any third party is helping you with something that you can do for free. Selecting your student loan repayment plan has gotten a lot more complicated in recent years, but I think that may be a good thing. I believe that it forces people to take a moment and really understand their student loans, and it also provides much needed relief for folks who are struggling financially. Your goal should always be to pay your student loans off as soon as possible. The longer you carry a balance, the more interest you will pay. Your goal should be to select the shortest repayment time period that you can afford. For some this may be the 10-year standard plan, while for others you may need to do the Income-Based Repayment Plan. Extending your loan repayment schedule out is always better than missing a payment or defaulting on your student loans. The goal is to get your loans paid off as soon as possible through whatever means possible! Have you ever considered IBR for your student loans? I’m on the income based repayment plan. My payments have been $0.00 a month for the last few years. I’ll probably have to start making payments next year since my income has increased this year. The drawback of the $0 payments is that my loan balance has been increasing the whole time. At least I know that the loans will for sure be gone one way or the other in 22 years. Most gradyate school loans are private lenders which means you cannot use income based repayment. It may have been that way at one time, but not now. My law school loans were all government loans, specifically GradPlus loans. Thanks for this information. Definitely worth sharing. I wonder if this is also available in Canada.